I have to admit that I am truly ignorant about The Authority Universe. I have seen them around, but I never actually had the chance to read them. 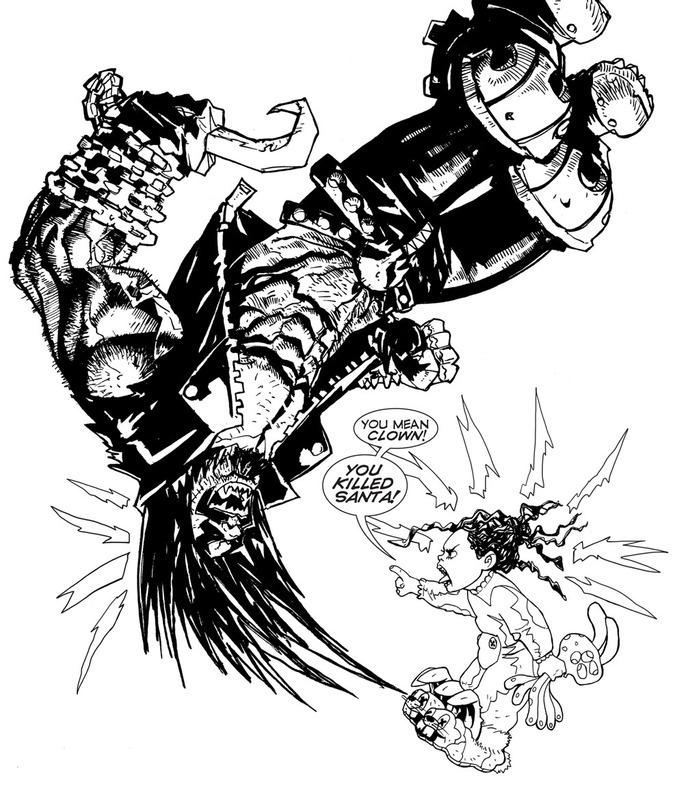 However, I stumbled upon this story when Keith Giffen, Alan Grant & Simon Bisley did Lobo/The Authority: Holiday Hell crossover special. One of the oddest, funniest and bloodiest story I've ever read. In this issue, Jenny Quantum (the successor of late Jenny Sparks) was a walking talking toddler that believed Lobo The Main Man have killed Santa Claus.